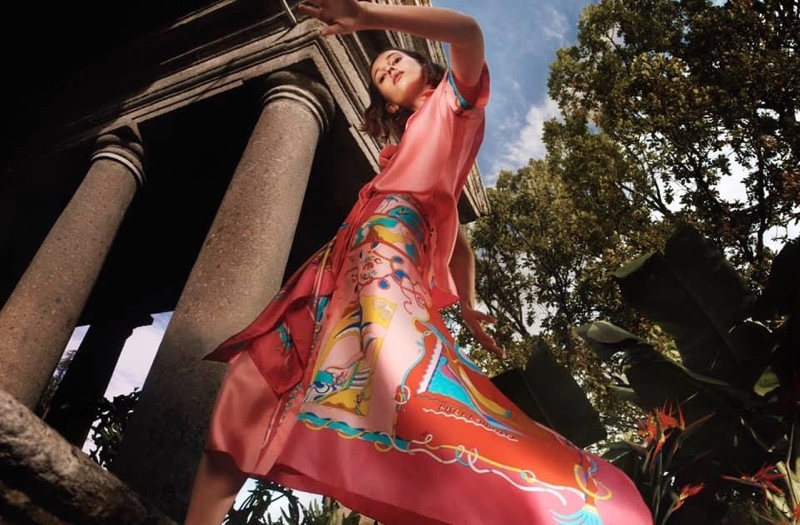 Emilio Pucci channels tropical vibes for its spring-summer 2019 campaign. Captured by Mark Peckmezian, the Italian fashion brand features Mali Koopman in colorful prints. From loose-fitting skirts to button-up blouses and statement bags, the patterns stand out in looks styled by Emilie Kareh. Al Dente Paris works on creative direction with hair by Paolo Soffiatti and Nami Yoshida on makeup.